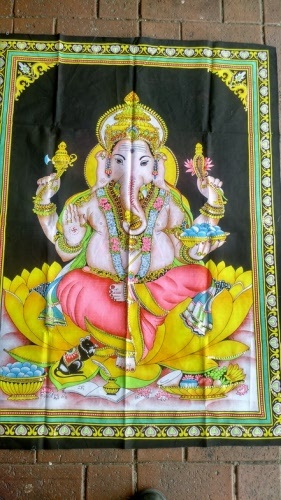 All these Wall hangings are on black cotton and decorated with sequins. 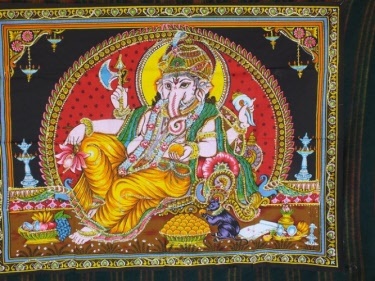 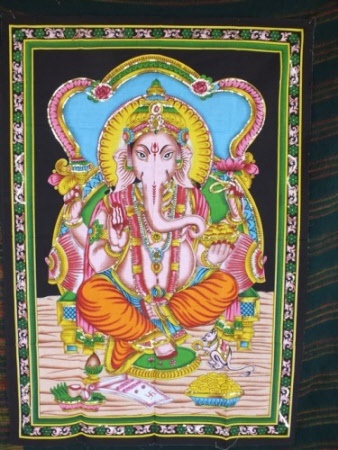 Made in India, a beautiful Ganesh printed on cotton and decorated with sequins. 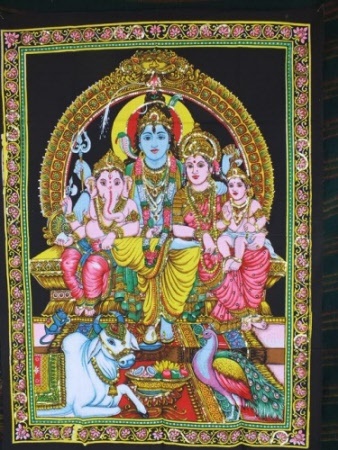 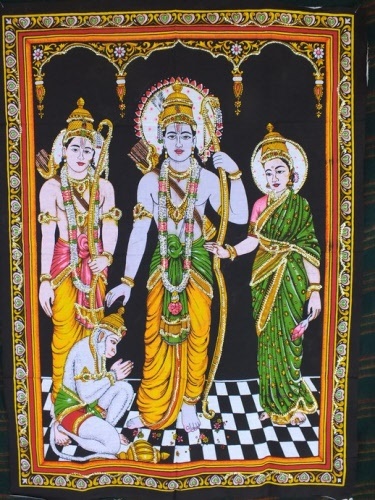 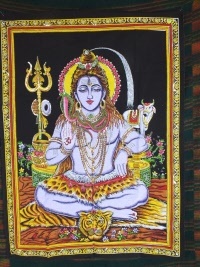 Made in India, a beautiful Shiva and Family printed on cotton and decorated with sequins. 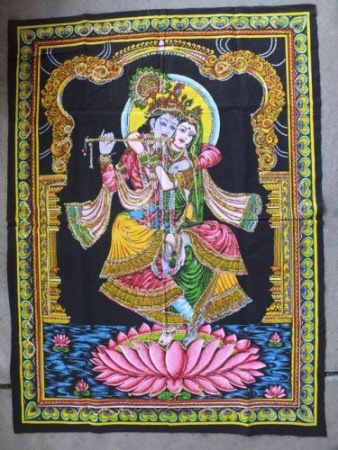 Made in India, printed on cotton and decorated with sequins. 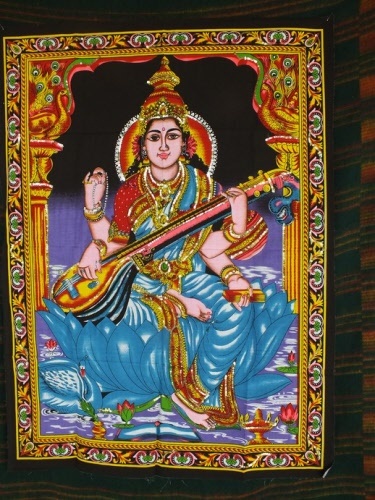 Made in India, a beautiful Sarasvati or Saraswati printed on cotton and decorated with sequins. 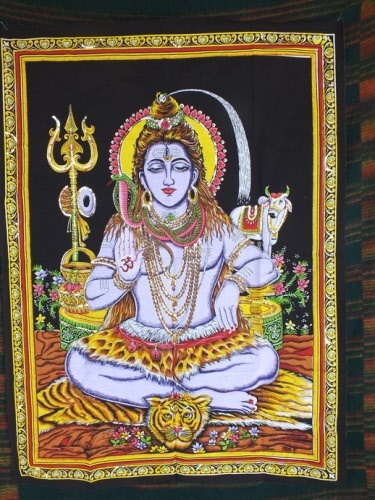 Made in India, a beautiful Shiva printed on cotton and decorated with sequins. 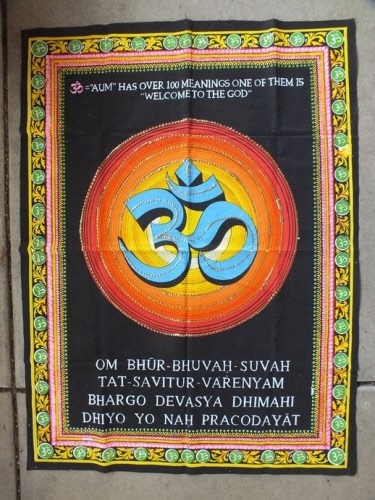 Colours and designs may vary due to changes in stock. Made in India, the Sanskrit Om Sign printed on cotton and decorated with sequins. 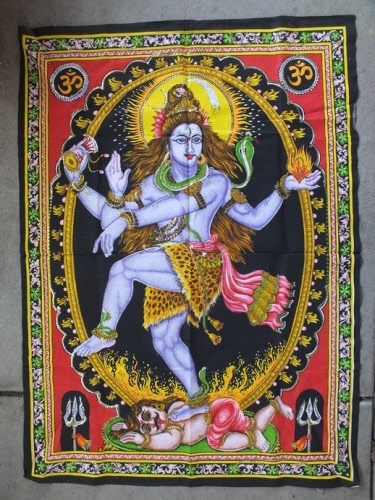 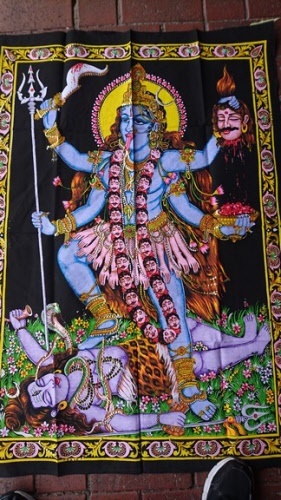 Made in India, a beautiful Nataraja / Shiva - Lord of Dance printed on cotton and decorated with sequins. 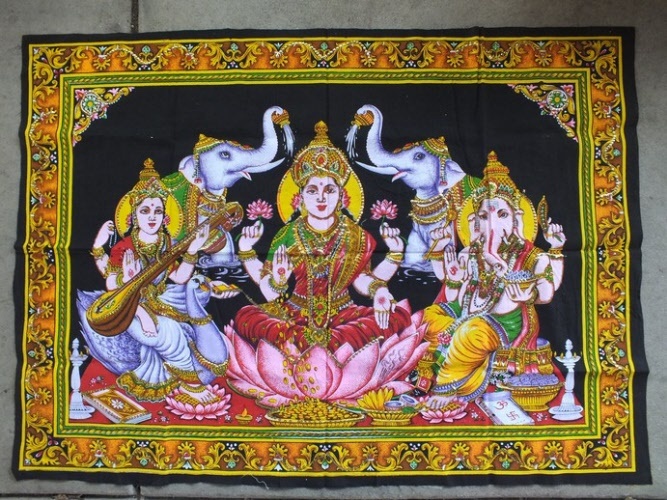 Made in India, a beautiful Lakshmi, Sarasvati and Ganesha printed on cotton and decorated with sequins. 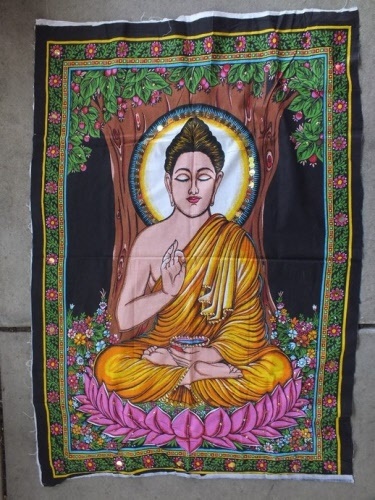 Made in India, Buddha seated meditating under Bodhi Tree / printed on cotton and decorated with sequins. 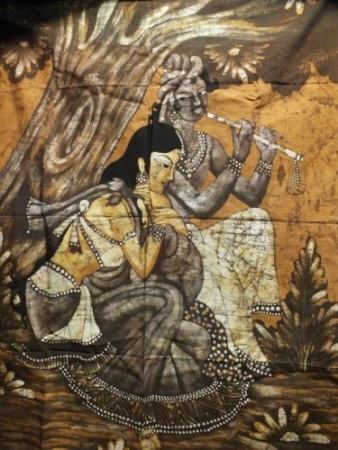 Made in India, Krishna playing his flute printed on cotton. Lovely wall hanging of Krishna playig His flute with a lady.